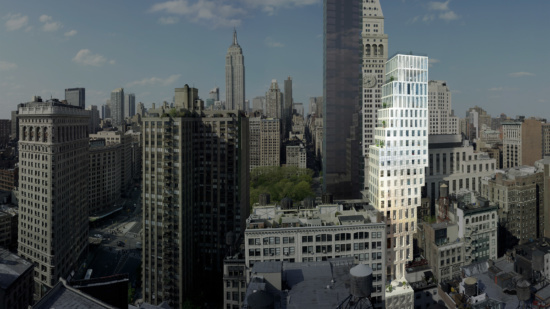 A luxury condo set on a tight site down the street from the Flatiron Building, OMA’s 23 E 22nd Street was set to widen over the neighboring building, still leaving room for light and views above and beneath. 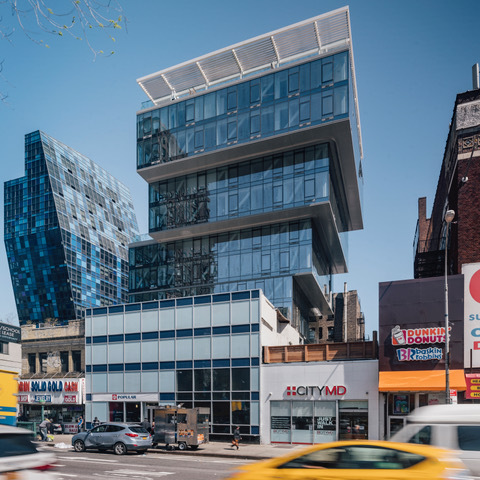 For its glassy residential tower just down the street from OMA’s site, KPF used almost the exact same strategy — albeit less dramatically. 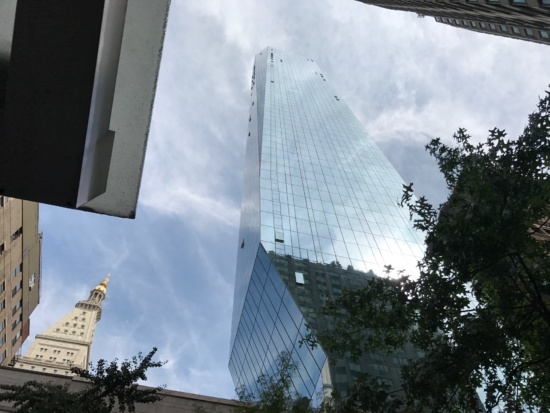 It’s 40 E 22nd Street, aka Madison Square Park Tower, may have “borrowed” OMA’s idea, but it also actually got built. 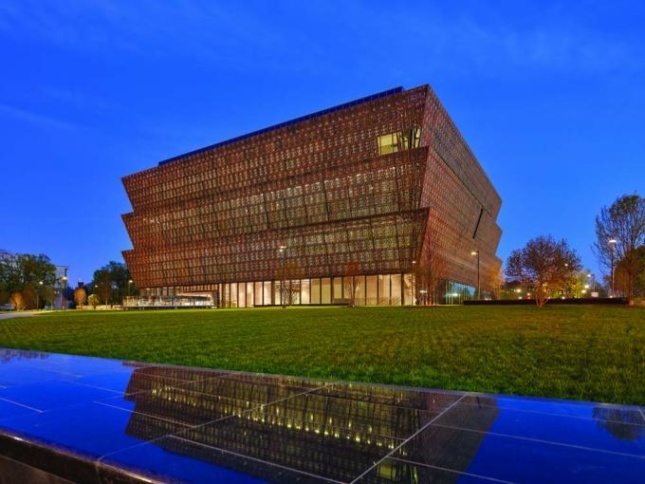 David Adjaye’s National Museum of African American History and Culture uses this strategy to help tell a story: in this case African Americans’ passage from slavery into freedom. The museum starts underground, and—thank to bronze-colored walls hanging from massive girders—opens up as visitors progress upward. drone footage of kengo kuma’s V&A museum of design, dundee from designboom on Vimeo. Sometimes inversion works effectively simply for its wow factor. Kuma’s three story building for the V&A in Dundee, Scotland is made up of 21 wall sections, composed of 2,500 pre-cast rough stone panels—none of them straight—creating the appearance of a Scottish cliff face. 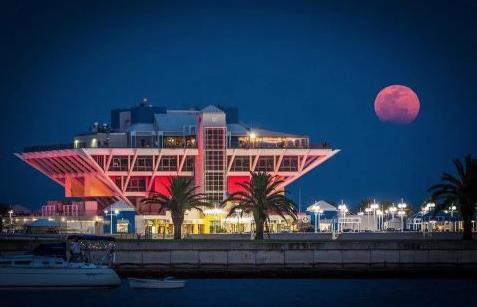 Located at the end of the St. Petersburg Pier, Harvard Jolly’s steel-framed inverted ziggurat (top) served as a festival marketplace from 1973 until 2013. Michael Maltzan was first slated to replace the design, but that plan fell through. 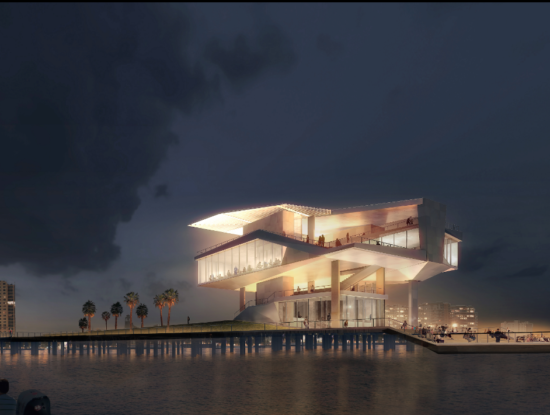 Now the project is being led by Rogers Partners Architects + Urban Designers, who seem to be creating yet another inverted structure (bottom), lifted high off the water. 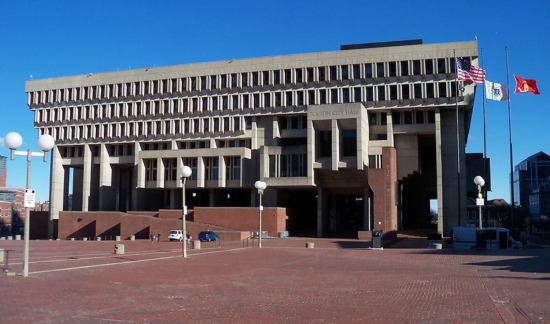 Another example of the symbolic use of the inverted ziggurat is Boston City Hall, a structure whose glassy base is designed to welcome local residents (whether it does that or not is very debatable,) while offices above shade this space and through their extension announce the importance of the public officials inside. 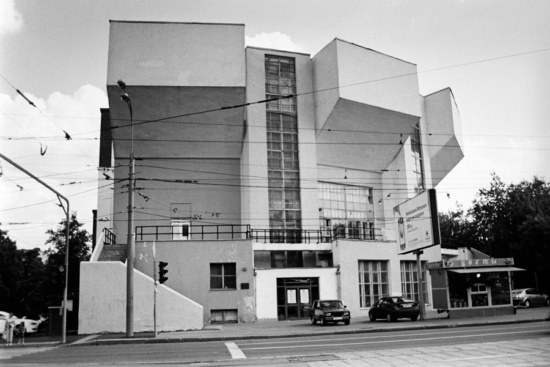 Constructivist master Konstantin Melnikov created ever-changing, ingeniously adaptable buildings, including this communist workers club in Moscow, whose upper balconies protrude noticeably from its façade, allowing them to be closed off (via moving partitions) as independent spaces for art, athletics, and so on, or moved into place as theater seating.